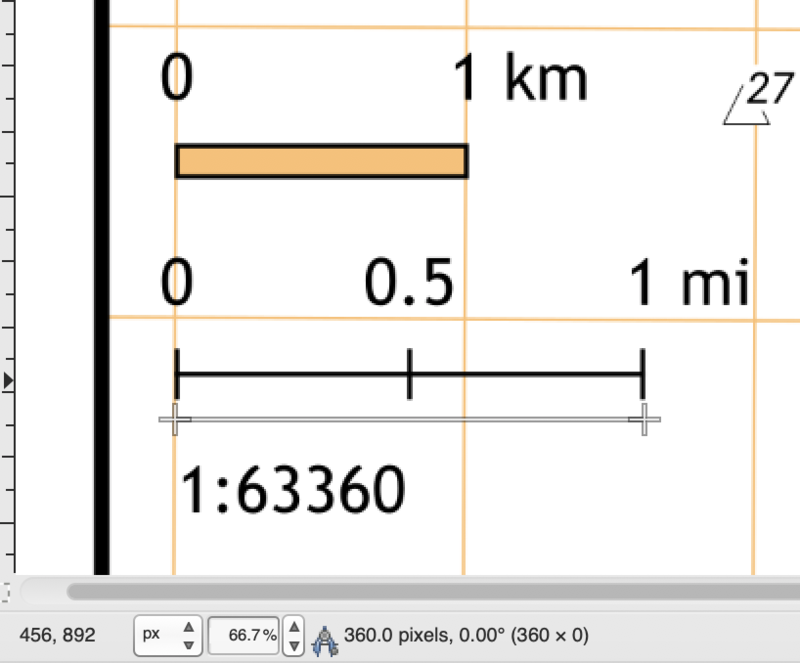 In QGIS 3.4, I am using the Print Layout to print some UTM lines with scale bars. My goal is to make a PDF of a map that is at 1:63360 or 1 inch to the mile. When I print the PDF, the mile Scale Bar does not measure out to be one full inch. I have ensured that I am not introducing scaling during the print rendering; that is, I print at 100% scale from AirPrint in the macOS Preview. The problem arose because I copy/pasted the legend from Map A to Map B. My guess is when pasting the new legend object into Map B preserved the scale from Map A.
I have added three Scale Bars to the layout that appear to be working as expected. But, the ratio of 360 px for 1 mile to 220 px for 1 Km or 360/220 is approximately 1.6. Therefore, the Scale Bar are correct when generated from QGIS. The measurement errors in pixels is due to me drawing a line in GIMP, so I'm not too worried about that difference. I've tried the following projections which both yield similar errors of one mile not equal to 1"
epsg:32611 (WGS 84 / UTM zone 11N). The UTM data and the rest of the map is from this UTM zone. Based on @Gabriel De Luca being able to reproduce the PDF without my same issues, I had hope that I was doing something wrong on my end. My original QGIS Print Layout would only create a 1 mile scale bar that was 360 px at 300 DPI, when it should be 300 px for the intended scale of 1:63360 (1 in = 1 mile). I created a new QGIS Print Layout, with following settings and it worked as expected. The only thing that I can think of what went wrong was that my first Print Layout had become corrupted, and it carried the error forward. 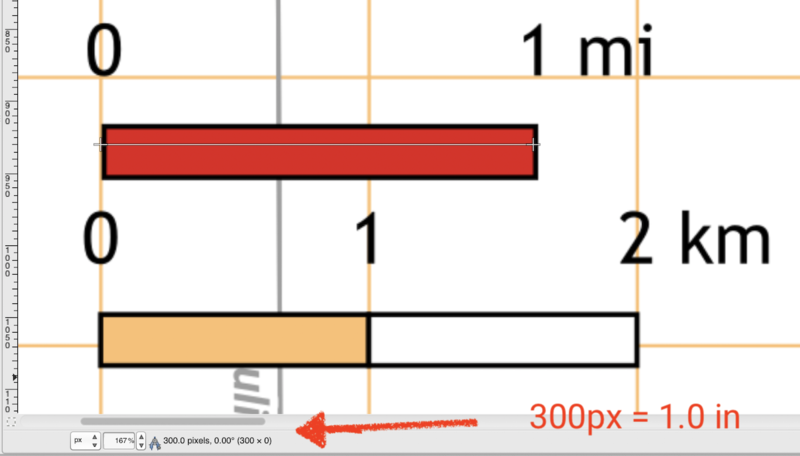 1 inch in pixels should be 300 pixels wide. Why is there Big Red X in QGIS Composer? Why doesn't the item properties and command history window not open up in QGIS print composer?